Hi all, in our acne series we will be making the second recipe for our moderate acne set. Today's recipe is a pore tightening and repairing facial cream. Those of you that suffer from acne know what it feels like to have acne scars and visible pores that release too much oil. This facial cream promises to address all these issues so that you can feel confident in your own skin. We formulate this with jojoba lotion base. To this, we add some witch hazel extract that helps remove excess oil from skin. 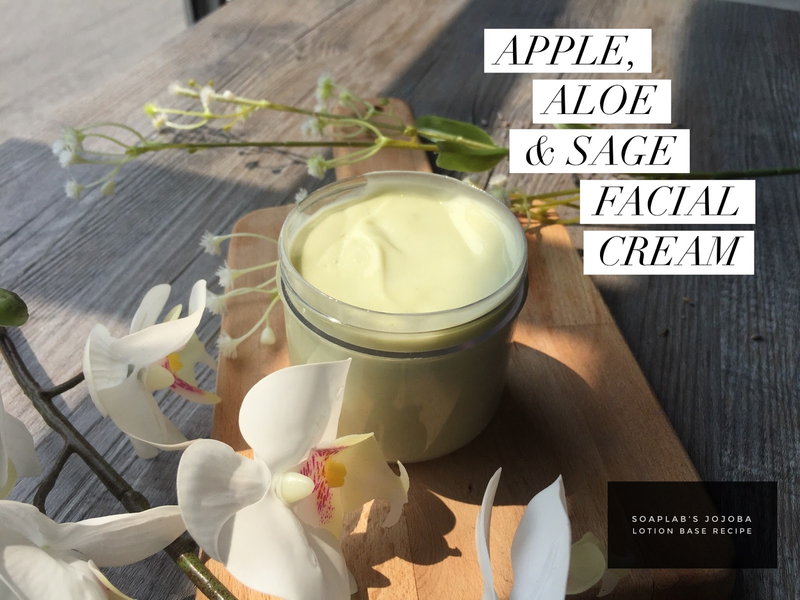 Next we use apple extract which tightens pores and is also an antioxidant that protects your skin from aging. We also use sage leaf essential oil to ensure that the acne causing bacteria is reduced so that your customers can have clearer skin in no time. A common ingredient in our acne series is aloe extract.. in fact we use it even in our eczema series. The main properties of aloe vera is that it is very soothing. This makes it suitable for any skin type. Try it and let us know how this cream works!